With the northeast bracing for yet another major winter storm on Thursday, airlines and their customers are hoping it isn’t another month like January. Three major snowstorms and record-setting frigid temperatures cost the industry between $75 and $150 million – and cost its passengers more than $2.5 billion, according to the Bethesda, Md.-based airline operations specialty company masFlight. Some 30 million passengers faced cancelled and delayed flights in January 2014,the worst month for flight disruptions in recent memory. In addition to the lost productivity and additional expenses, such as hotel rooms and meals, cancelled flights added approximately 18 additional hours to passenger travel times owing to high industry load factors and the consequent difficulty in re-booking. The exclusive masFlight analysis is based on widely accepted industry metrics for average passengers per aircraft, and the costs to passengers. The industry sources for the cost metrics include the Automobile Association of America, the Federal Aviation Administration, the Department of Transportation, and the Joint Economic Commission. 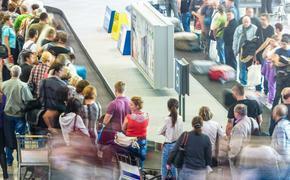 These cost metrics found cancellations cost passengers $37.60 per hour. masFlight analyzed the cancellations and delays for January 2014 finding they exceeded all January cancellations back to January 2009 and was worse than Hurricane Sandy (October 30-November 1, 2013). U.S. airlines cancelled 49,000 flights and delayed another 300,000 flights during January, making it worse than February 2010 when 32,500 cancellations were the result of two back-to-back storms during the first 10 days of the month and then a smaller storm at the end of the month. 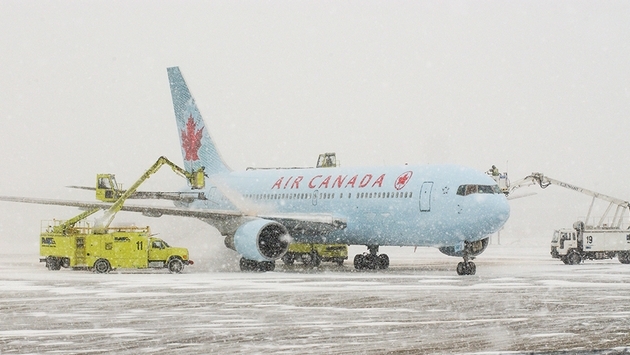 The "Polar Vortex" and winter storms at the beginning of January 2014 were an aberration in terms of cancellations and delays, but were compounded by winter storms, cancellations and delays that continued throughout the month. masFlight also noted that two key regulatory changes impacted airline operations since 2009, increasing flight cancellation rates. The first was the DOT tarmac delay rule. Starting in 2010 (for domestic flights) and 2011 (for international flights), DOT imposed fines up to $27,500 for every instance in which a carrier held passengers onboard on the ground without the opportunity to deplane for three hours (domestic) or four hours (international). To mitigate risk of fines, airlines began to return flights to the gate well before the three-hour mark, driving many more gate returns than originally anticipated and subsequent cancellations to open gates for returning flights. The second major regulatory change was FAR 117, which went into effect on January 4, 2014 and imposed new limits on the amount of time U.S. pilots can be “on duty”, i.e. available to fly whether they do so or not. FAR 117 has made it harder for airlines to recover from weather events because time on the ground during flight delays counted against new limits – and caused pilots to “time out” when flights were badly delayed.